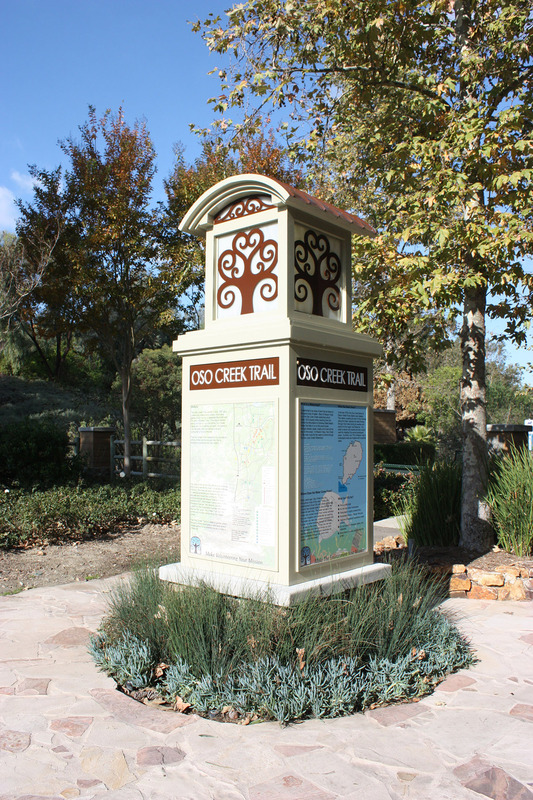 The Oso Creek Trail, constructed over a 10 year period by the citizens of Mission Viejo, embodies the City’s effort to promote community participation in recreational experiences. 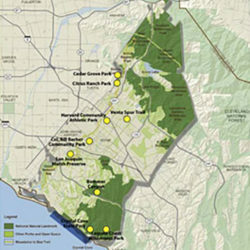 Bordered by urban development, the Oso Creek Trail is located in a natural riparian open space corridor through which the Oso Creek flows. 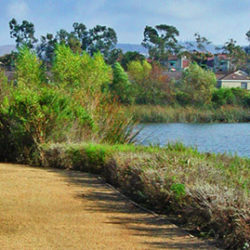 This unique six mile natural trail system is easily accessible to city residents and employees by foot, bike, car, or public transportation. 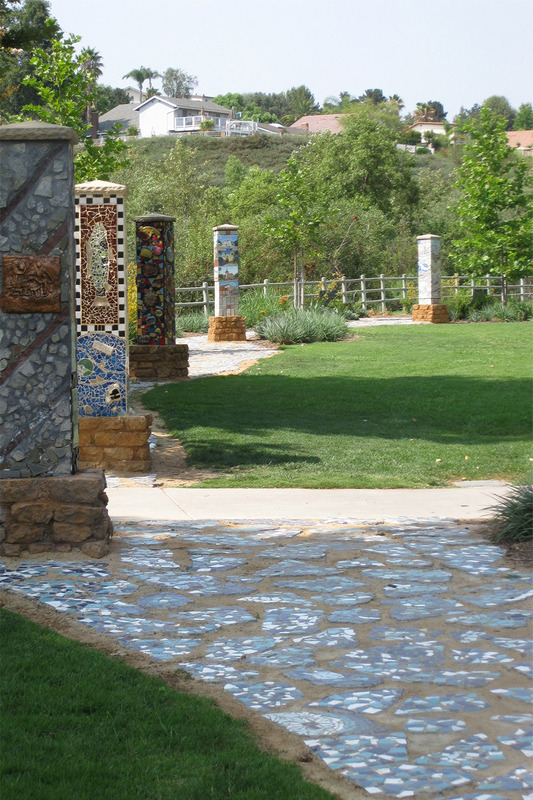 The Trail and Trailhead Garden are an excellent example of the City of Mission Viejo’s successful community participation program called Tierra Nativa, “Celebration of the Native Land.” Constructed during Tierra Native 2004 by hundreds of community volunteers, the Oso Creek Trailhead Garden’s mosaic tile walls and character stones tell stories of Mission Viejo’s past and present. 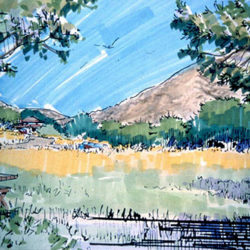 The colorful pictorial panels of the tile walls depict important events in the history of Mission Viejo. 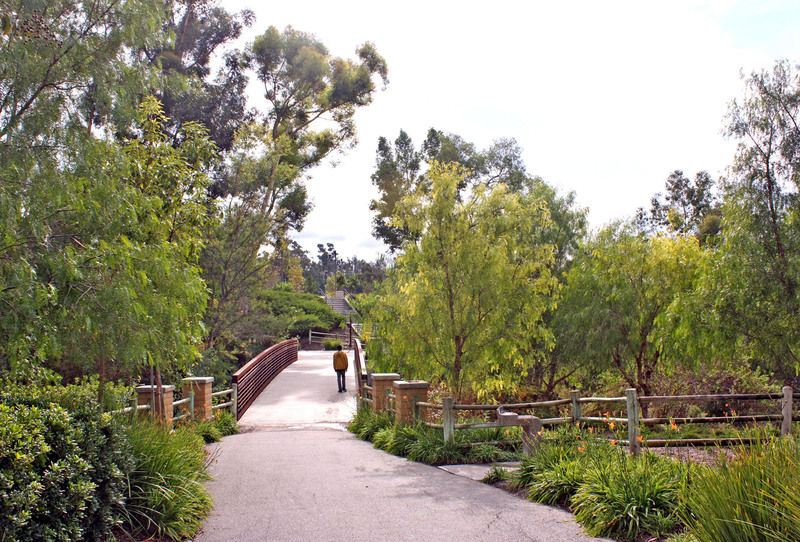 In 2003, the City of Mission Viejo established itself as a Community of Character. 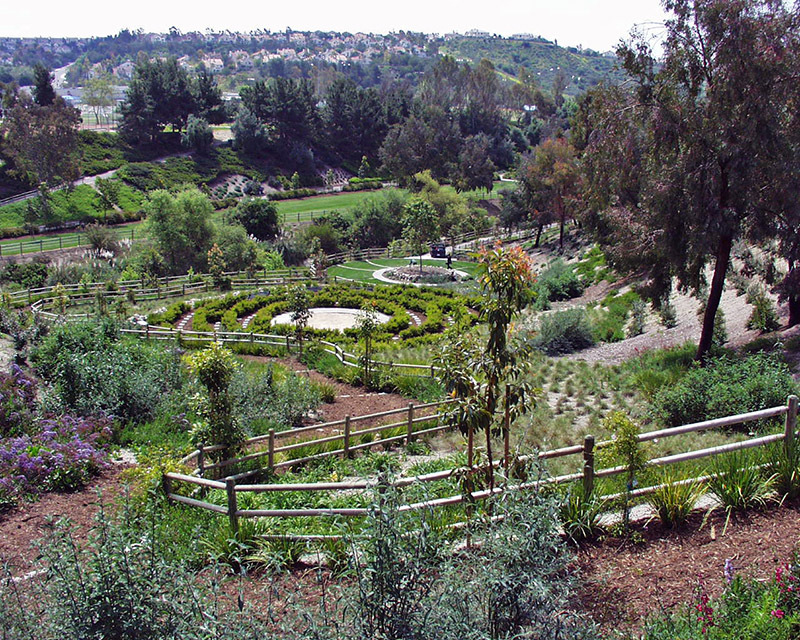 The Character Garden features twelve stepping stones, with one of twelve character traits etched into each stone. 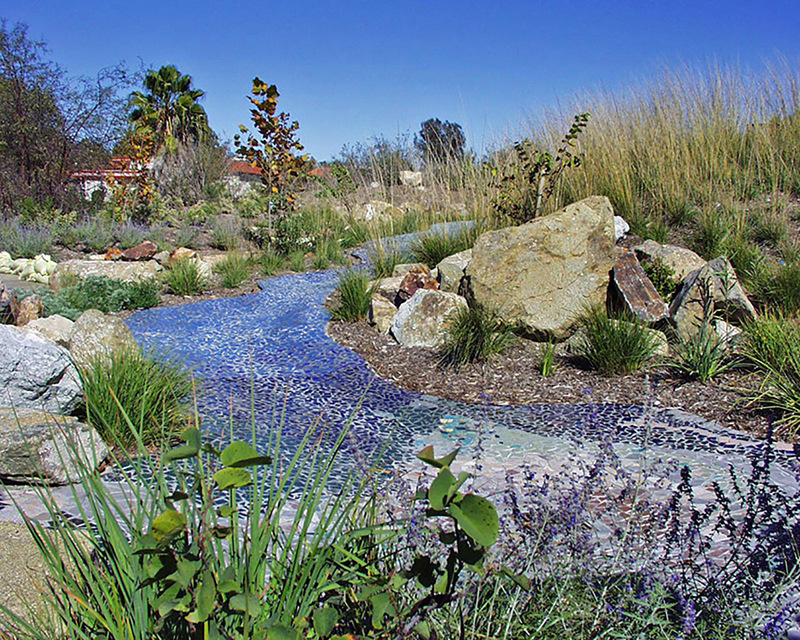 The interpretive water garden, built of mosaic tiles by community volunteers is a tool to educate the public in the role all citizens play in environmental stewardship. 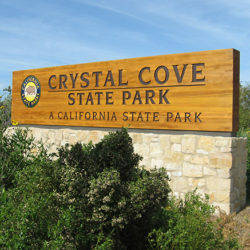 The gravel pave parking area and use of drought tolerant plant materials represent early use of the “green” design practices of permeable paving and water conservation.